Adding Form to Shipify Store is just a few steps. Step 2: Login to Shopify (http://www.shopify.com/login). After you login, you will be redirected to your Shopify Admin Panel. 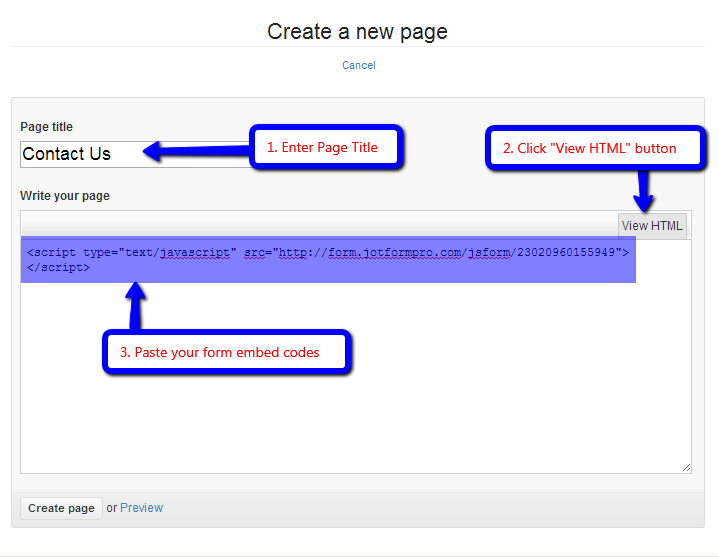 Step 3: Click "Blog & Pages" then click "Create a new page". 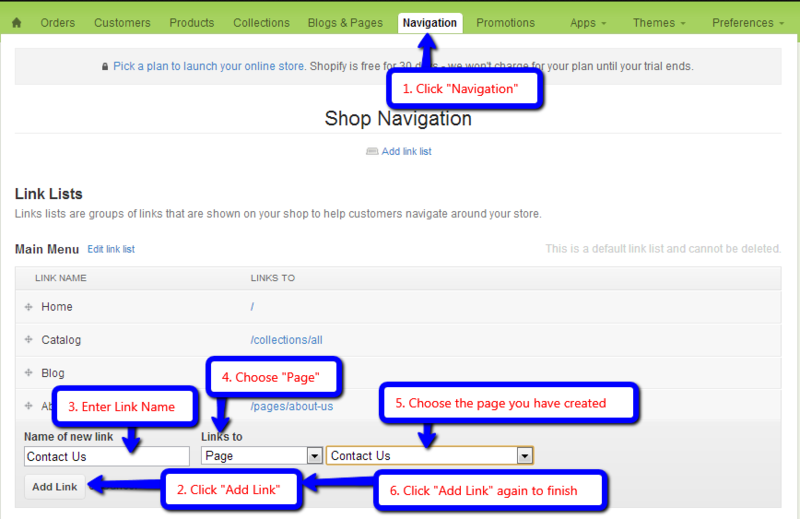 Step 5: Click "Create Page"
Next step is to add your page to your store front page. Step 7: Click "Add Link". Step 8: Enter "Name of new link"
Is there a way to connect your jotform to shopify so that when they hit the submit button it will create an order in my admin panel? I currently have it going to PayPal, and it is very inconvenient. 1. My customer logs onto my website with a passcode (this are wholesale customers). 2. They go to a page with a form on it that has products, variants, prices listed and they check off or type in what they want. 3. The order is totaled at the bottm and then click "submit"
4. Order is processed via Shopify/Stripes with their credit card. 5. We are notified via email from our website that an order was placed and a link to their completed form is shown on the screen. 4. Their form is emailed to us and we check inventory, send an email to the customer telling them that we received their order and ask them to contact us with credit card info. 5. They call us and we process the order via our website Shopify/Stripes with their given credit card #. Is there a way to turn my submit button into an "add to cart" button? Where to put embed code on shopify site?